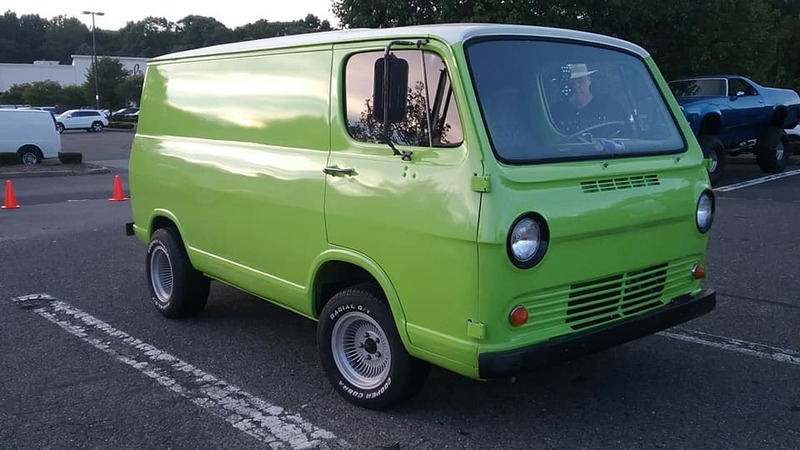 What makes it special: The first Chevrolet Chevyvan G-10 half-ton production years was from 1964 through 1966, GM saw a market for a compact van based on a modified passenger car platform to compete with the already successful Ford Econoline and Dodge A100. The Chevyvan had a cab forward design with its engine placed in a “doghouse” between and behind the front seats. The implementation of situating the driver on top of the front axle with the engine near the front wheels is called internationally a “cab over” vehicle. Engines and brakes were sourced from the Chevy II. A first gen is quickly identified by its single piece flat windshield glass. Windows were available as an option, but were simply cut into the sides from the factory. Air conditioning, power steering and power brakes were not available in the 1st generation vans. What made it famous: For 1965, the van remained largely unchanged. The grille openings were widened, and received one additional slot just above the bumper to increase cooling. Seat belts were added. The exciting news for the 1965 model year was the introduction of the Chevy Sportvan. Sportvan was a passenger friendly van with windows molded into the van body. A retractable rear courtesy step for the passenger side doors was used on the Sportvan. The 194 6-cylinder engine was now standard equipment, with an available ‘Hi-Torque’ 140 hp, 230 cu in inline six-cylinder. Why I would want one: These are just plain cool, and can be used for utility or delivery purposes, but I prefer to see them as customs or street-rod variations. Fun fact: In 1966, General Motors developed the concept vehicle Electrovan, based on the GMC Handi-Van. The vehicle used a Union Carbide cryogenic fuel cell to power a 115-horsepower electric motor. It never went into production due to cost issues and safety concerns.